Just two days until Christmas! My gifts are wrapped, my cards are sent, and the reason I can now post this is because my treats have been delivered! The last few years, I've been giving baked goods as gifts. They're inexpensive (always important), fun to make (any excuse to try a new recipe!) 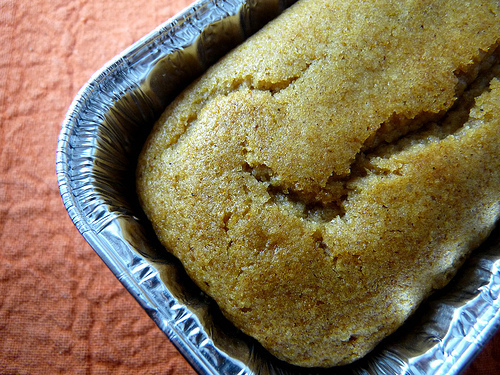 and well received (because everyone loves a fresh baked dessert, warm from the oven and filled with love). Also, I will jump on any excuse to decorate something with red ribbon and a candy cane. Presentation is everything! While searching for a recipe, I had three criteria. 1. The recipe must be vegan. 2. 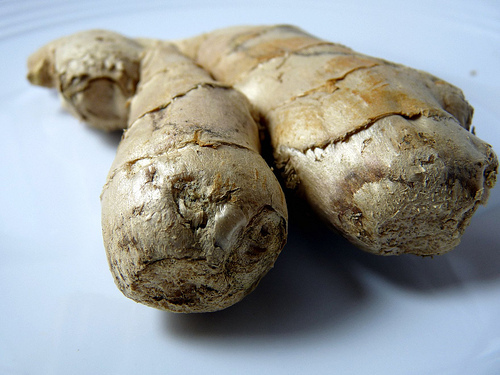 The recipe must include real ginger. 3. The recipe must be delicious. I found a recipe that fulfilled the first two requirements. The final condition remained to be seen. Because I was giving these away as gifts, I chose to bake them in mini-loaf pans, which contain about four generous servings each. The aluminum pans I purchased came in packs of five with their own clear, snap on lids, which made wrapping and delivering them very easy. Oh, and one last tip before I give you more photos and the recipes - I had the bright idea to mince the ginger root with my microplane zester, and it worked perfectly. If you don't own a zester, you're really missing out! Batter poured and ready to bake. Which brings us to criteria number three: was my gingerbread delicious? Reader, it was! The bread itself was not too sweet, but full of warmth from the spices. 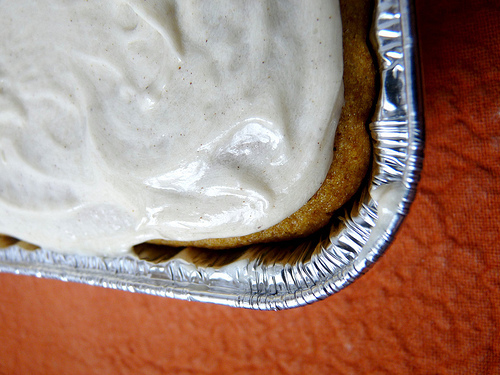 The addition of the cinnamon buttercream frosting gave it just the punch it needed. 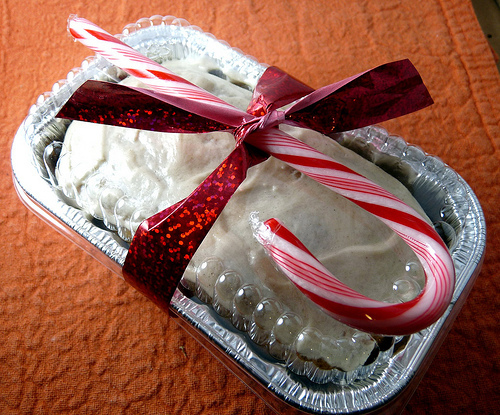 Plus, the loaves were perfectly adorable once they were wrapped in ribbon and topped with a candy cane. I'll definitely be making this again next holiday season, if not sooner. 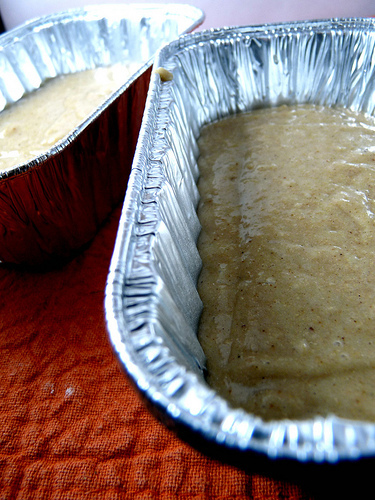 Lightly spray five mini-loaf pans with oil and set aside. In a large bowl, sift together both types of flour, baking powder, ground ginger, cinnamon, nutmeg, salt and allspice, and set aside. In a medium bowl, whisk together the remaining ingredients until well combined. 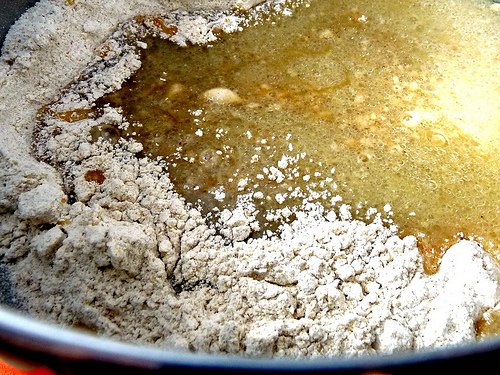 Add the wet ingredients to the dry ingredients and whisk until blended. Pour the mixture into the prepared pans, dividing evenly.